Yesterday, we started a new “how to get referrals” series. The first thing I shared with you is the most essential thing is to make yourself referable. Remember, turn up on time. Do what you say. Finish what you start. Say please and thank you, and things like that. Today, the second thing you have to have in place is to believe that you are referable and when I say believe, I don’t mean just you. That means your staff as well. So, you have to convince your staff and you have to convince you. Yes, you. If you don’t believe that you are referable, you won’t be able to get them to believe it either. So, how do we go about this? Well, it’s a mindset thing. First of all, are you any good at what you do? What do you think? How long have you been doing it? Have you been in your business 10, 20 years, 30 years, or just 5 minutes? How good do you think you are? Are you average, pretty good, brilliant, not very good? If you think you are not very good or average, then can I suggest that you go and get another job? I’m going to challenge you to decide if you are brilliant at what you do. The chances are that you are much, much better than you imagine. None of us think that we are brilliant. However, your customers probably do. So, this is the thing that you need to get in to your head to figure out if you are good. Have you got customers? Do you have customers who come back for more? 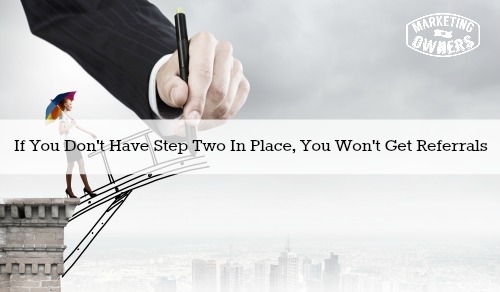 Have you got customers who have been with you in both of your useful services as many times over a number of years? If you can answer yes to that, the chances are you are very, very good at what you do. Now, get that in to your head because you, don’t have to show off and say how super wonderful you are everyday, but just convince yourself. Now, go to your staff and explain to your staff the same thing. Explain why your business is great at what you do and why they should believe that. This is an ongoing process also for your staff to tell them how wonderful they are. Ask them if they enjoy their job. Ask them if they think, when they are talking to a customer, that they are giving good value. Again, if they say no, perhaps it’s time for them to be replaced or to go do something else. The chances are they are going to say yes. Don’t be scared. Just ask them. Whatever their answer is, I think you know what it is anyways. Now, you just need to work on the mindset. This is not brainwashing. You just need to get their opinions straight. You don’t want them to lie. You want them to honestly believe the value they are giving but they probably have not thought about it. They probably, and you yourself, probably have not thought in depth of the value you are giving to your customer and you probably don’t realize it. So, go do that and work on the mindset. Work on yourself first. Once you can convince yourself that you are giving great value and that you are highly referable and that you should be recommended to others, you are halfway there, my friend. 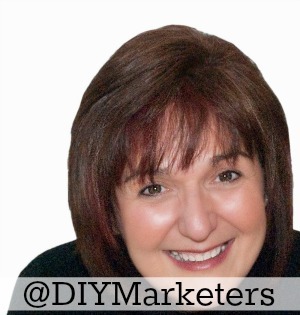 Today is Friendly Follow Wednesday and I am going to recommend that you look up is @diymarketers. This is Ivana Taylor. She is a lovely lady from the USA. Her website is diymarketers.com. She does things right. She makes marketing easy and she shows you how to do it. I like her blog. She has been featured in many magazines and online sites. She is smart. She is clever. She is quirky, and occasionally has colorful language. So, I apologize if you don’t like that. Check out what she does. Look at her website. When you go to her website, it’s set up correctly. The first thing you will see is an offer to give you something for free as a reward for coming along. She uses lead pages to get that.It will put you on an e-mail list and then she’s gonna look after you. Sign up. Follow what she does and just learn from how she developed that relationship. Remember, Ivana Taylor @diymarketers. Follow her on Twitter. Then, follow us on Twitter too at @marketingOwners. Do you need to believe in yourself and your abilities?